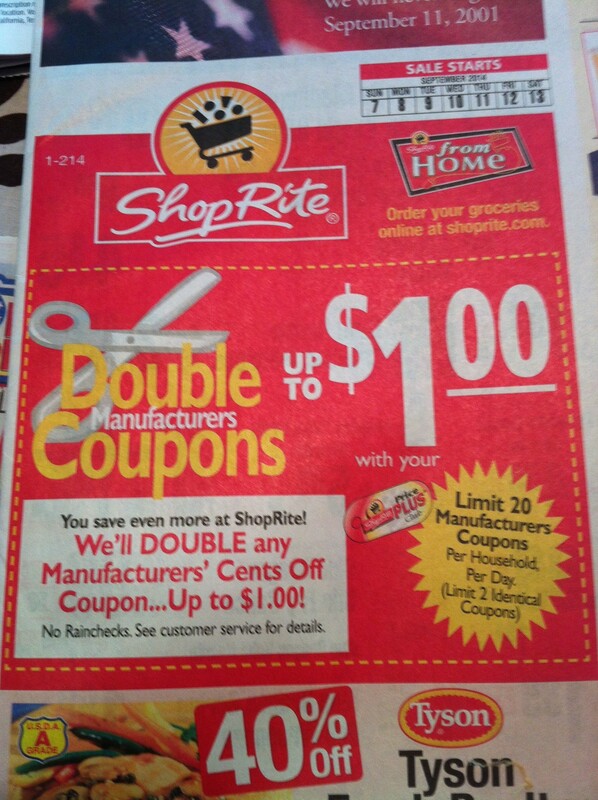 As you may have heard, ShopRite is doubling $1 coupons this week (they always double coupons under $1) and that is making for some GREAT deals and freebies! Note: There is a limit of 20 manufacturer coupons total for your order, regardless of the face value (their way of preventing “extreme couponers” from clearing the shelves) and only two of the same coupon per order. If you can make a ShopRite run, this is a GREAT week to stock up on items at great prices!! 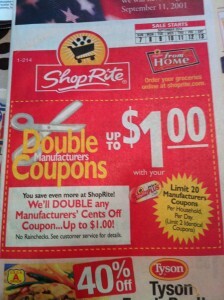 This entry was posted in Coupon, Freebies, ShopRite and tagged $1 Doublers, Coupons, shoprite. Bookmark the permalink.